Nothing is more grandiose than a royal wedding between two affluent royal clans. 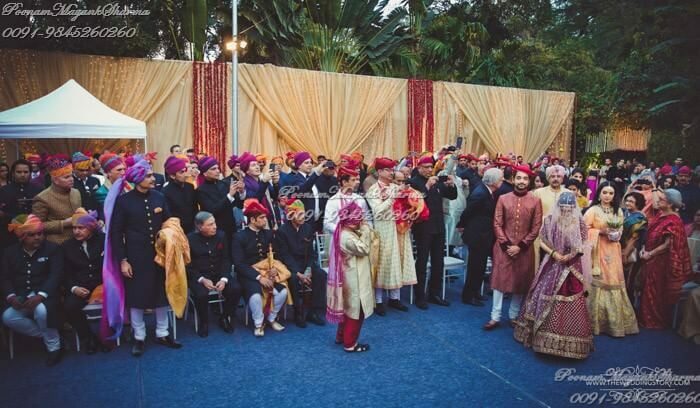 Bangalore witnessed one of the most regal weddings that took place in the history. 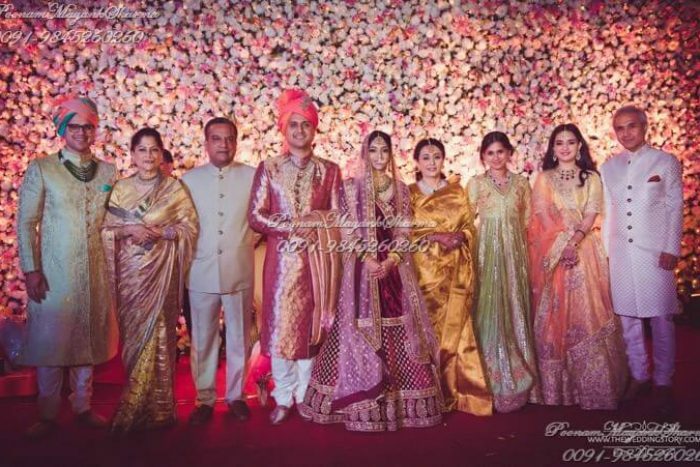 This royal union of the Ghorpade of the Sandur royalty and the Raje Scindia family set a spectacular sight for the 600 royal guests invited to the wedding on 5th February. 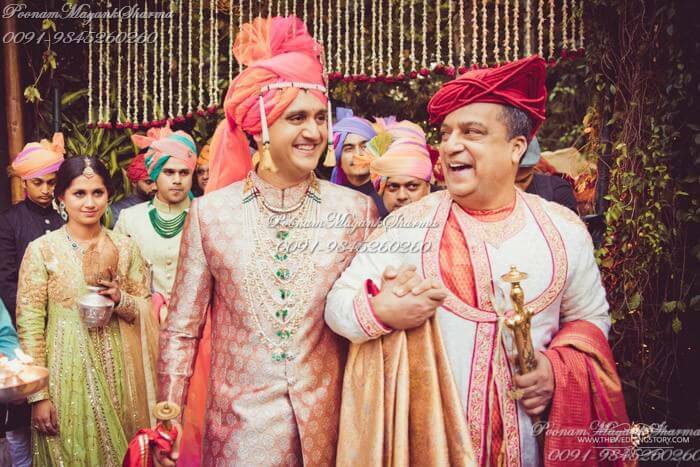 The ceremony witnessed an artistic cultural blend of Maharashtra, Rajasthan and Bangalore. 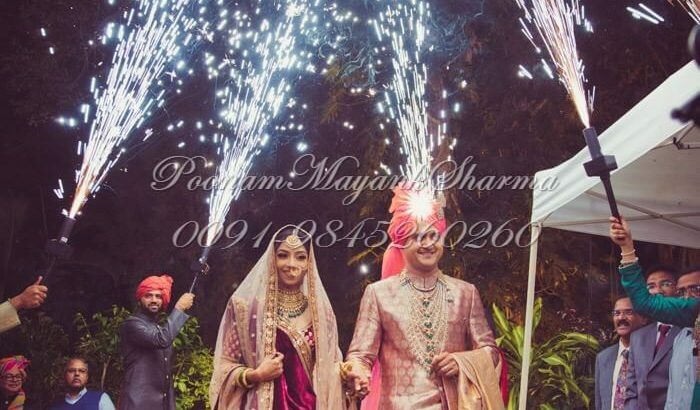 As the bride Krutika and the groom Aakshay decided to get into holy matrimony, Taj Westend was transformed into a royal setup. 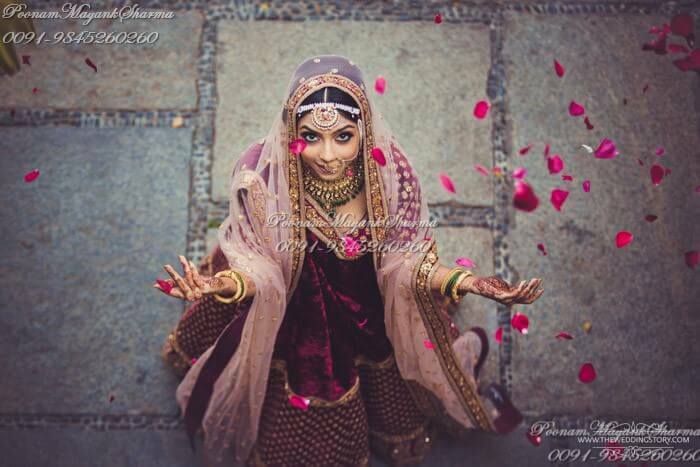 The wedding which was spread across 3 days was designed with the tasteful choices of Amika Ghorpade and Yashodra Raje. 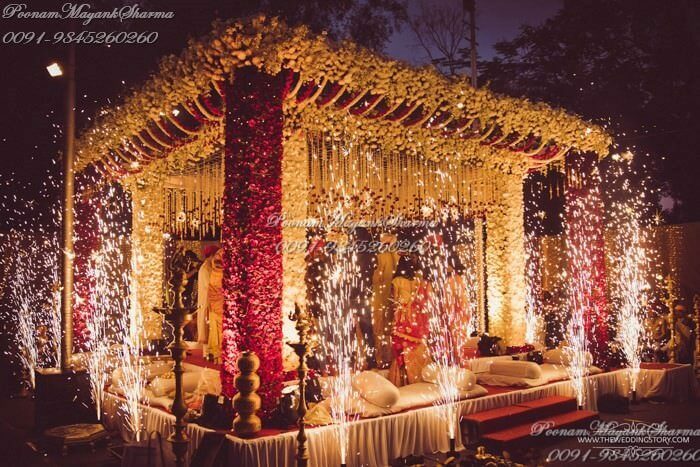 Space Creation for the entire wedding, done by PoonamMayankSharma planned to have a different setup for each event. The Cocktail evening was a simple affair with royal blue theme setup. The Mehandi was created with a Carnival theme with all vibrant colours, Meenakari umbrellas, painted and handmade Rajasthani matkas. The setup was complemented with dhols and bangle corners. 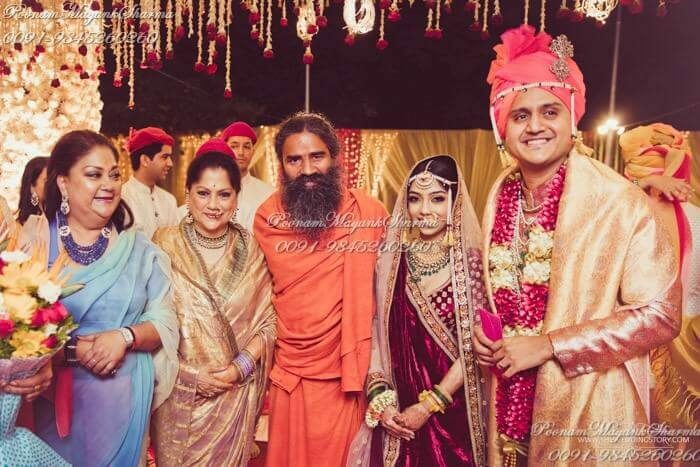 This beautiful event was followed by Sangeet in the evening. The Sangeet setup was inspired by the ‘Great Gatsby’ theme. If the Mehandi was vibrant the Sangeet setup looked nothing less than a fairyland. The white and pink ambience was ornamented by white orchids and Ostrich feather décor. The early evening wedding the next day witnessed royalty in epic form. The royal members of both the families were seated in a hierarchical manner. 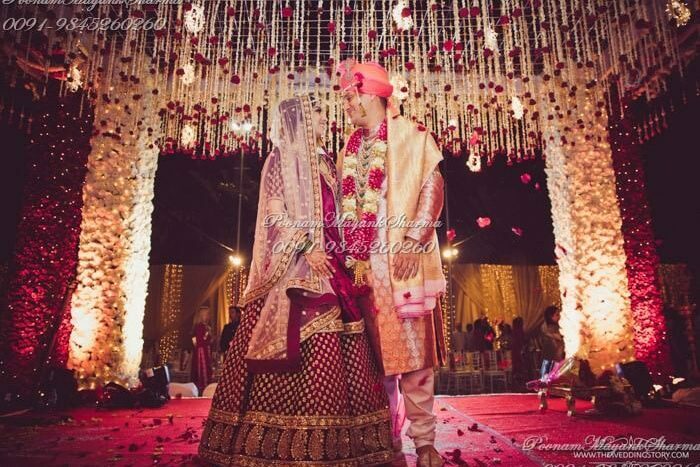 The Mandap decorated with tuberoses imported from Holland looked magnificent in white and red. 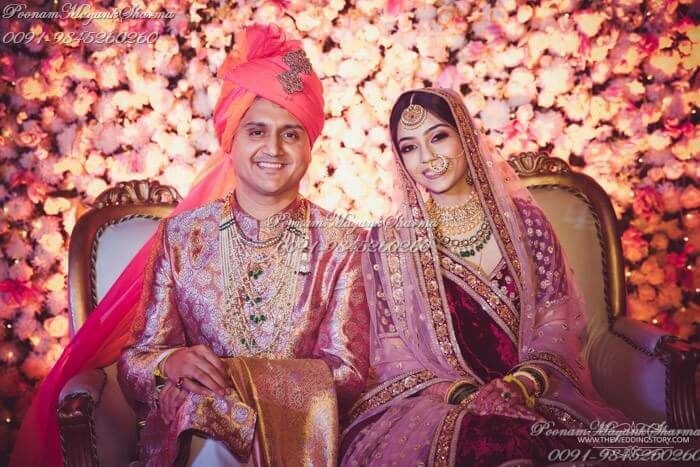 The bride and groom dressed in Sabyasachi dazzled the guests. The wedding conducted by a royal priest was followed by an austere reception. The wedding menu consisted of more than 21 authentic traditional dishes. 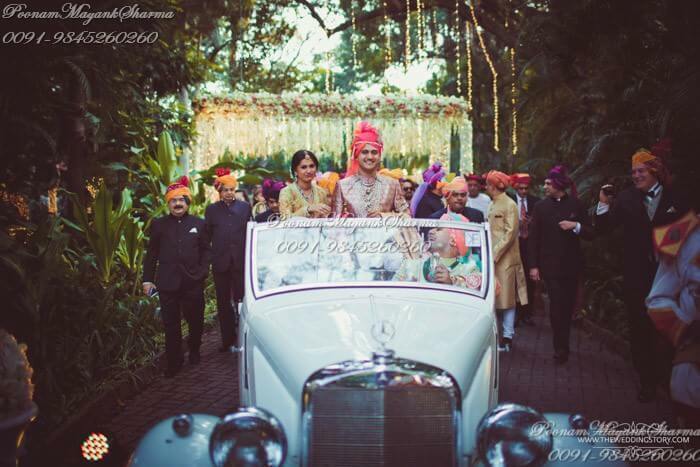 With imperial beauty overflowing from every detail of this wedding, it was a delightful experience for all.